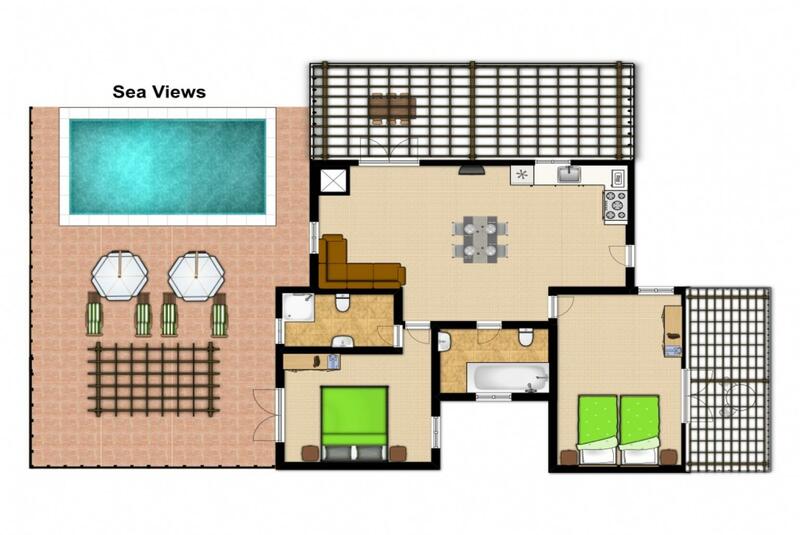 Bungalow layout: Lounge with doors to pool and dining terrace. Open plan kitchen/inside dining area. 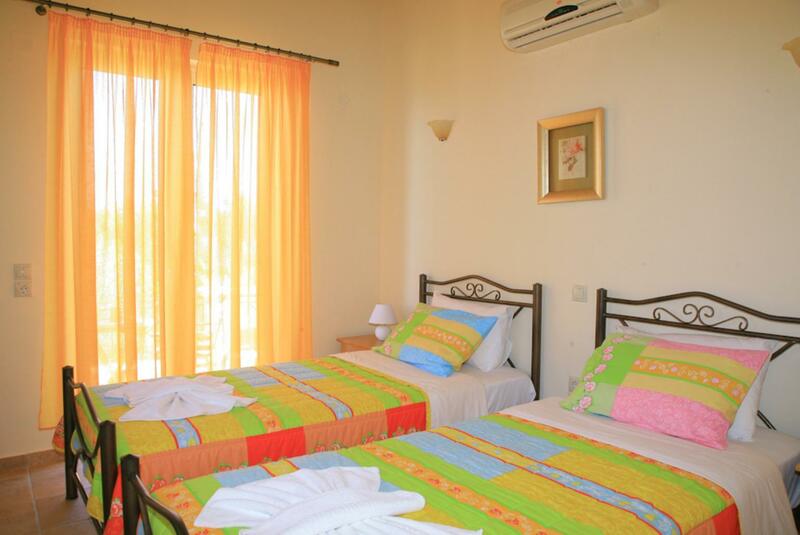 2 bedrooms (1 double and 1 twin). Additional folding bed available on request. Fully air conditioned throughout. If an additional bed is required there is 1 folding bed. 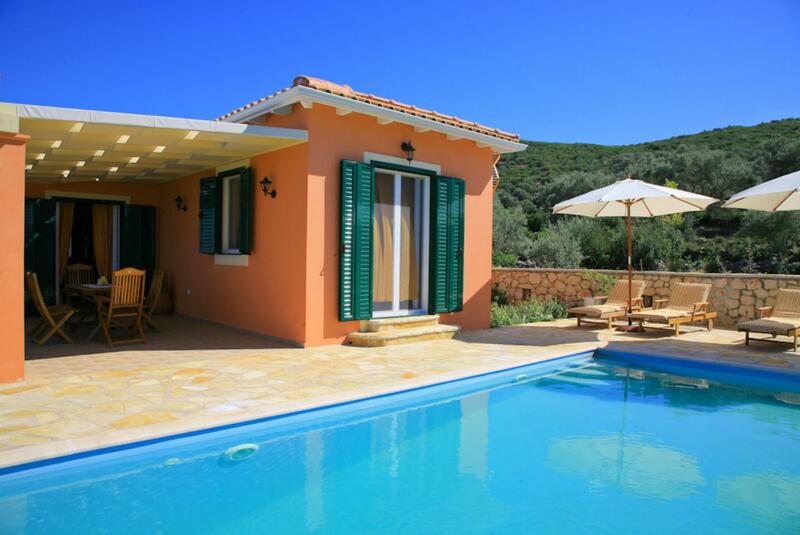 Villa Belvedere Rosa can sleep up to 5 people. We had a very good time with our family staying in villa verde. Lovely view over the sea. Next year again! 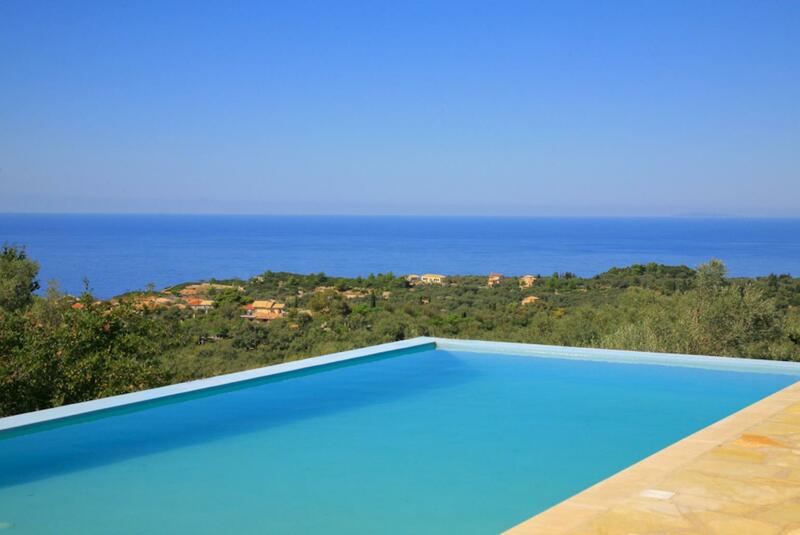 The villa is strategically situated with breathtaking views over the surrounding countryside and Ionian Sea. It is quiet and serene and was the right base for a wonderful holiday. 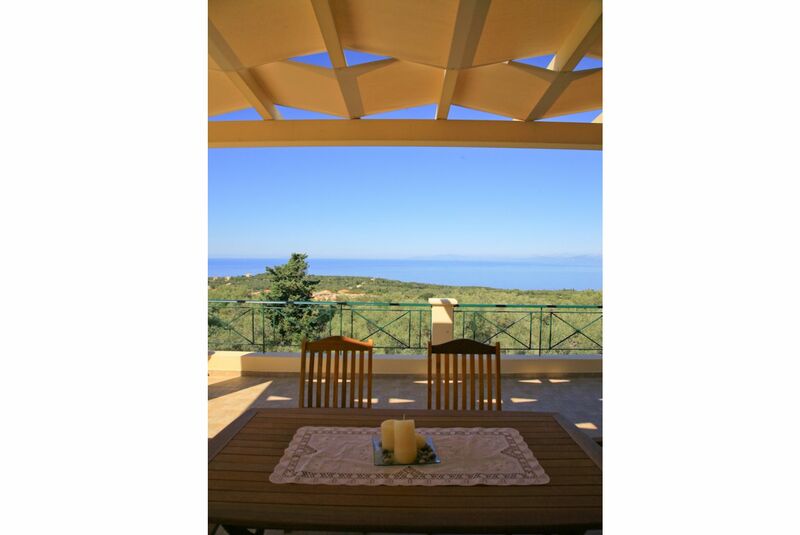 A very nice property with an amazing view. 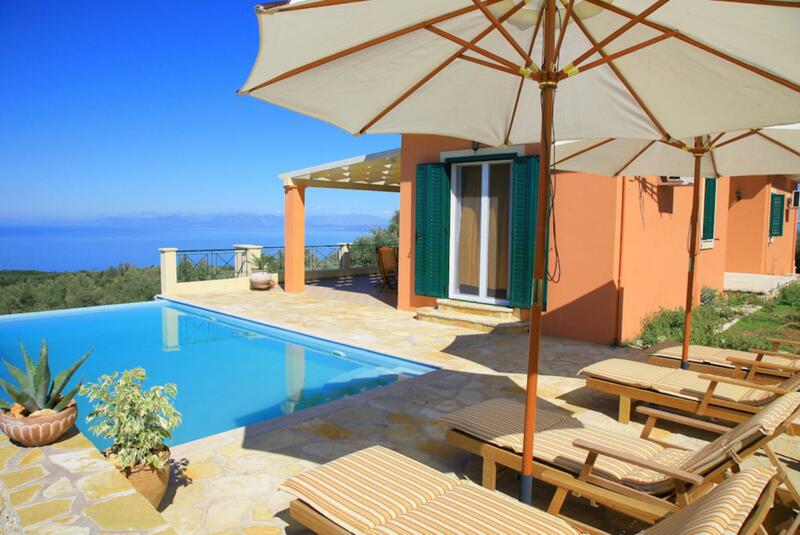 excellent we would like to book the villa gain for next year! The service we received before and during our stay from Agni Travel and the villa owners/maintenance man and cleaner was genuinely excellent for which we thank you and will as before using Agni Travel again in the future. 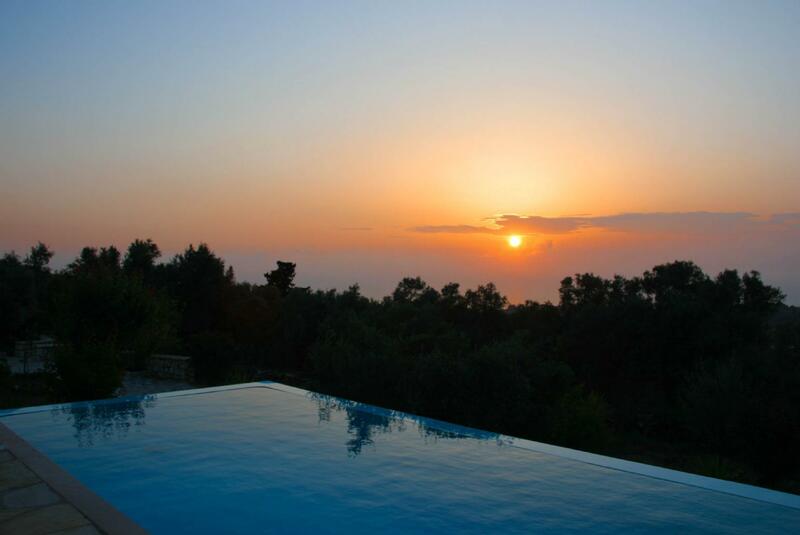 We really enjoyed our stay at Villa Belvedere Rosa. If you are looking to detach yourself from the tv and enjoy beautiful scenery, this is for you! 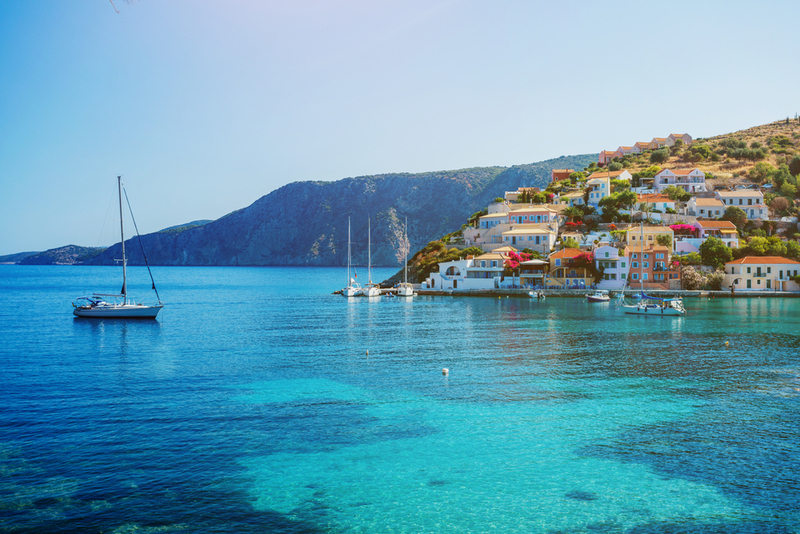 The views are stunning of the blue water and beaches below. The inside was so perfect for us too, and it was very clean (a huge thing for me). Such an amazing property! 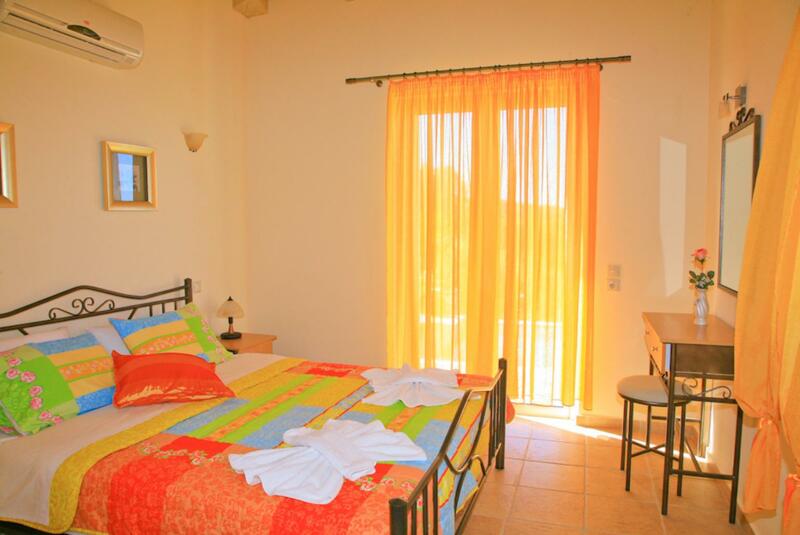 The villa itself was just as it is in the photos, lots of natural light, colorful yet relaxing decor, and equipped with everything you would need. Agni Travel was so welcoming and friendly and made the entire experience a breeze. Also, there were beautiful sunsets during our stay! We will be back! Thank you for the hospitality! Wonderful, Wonderful, Wonderful!!! Need I say more! It was absolutely idyllic. 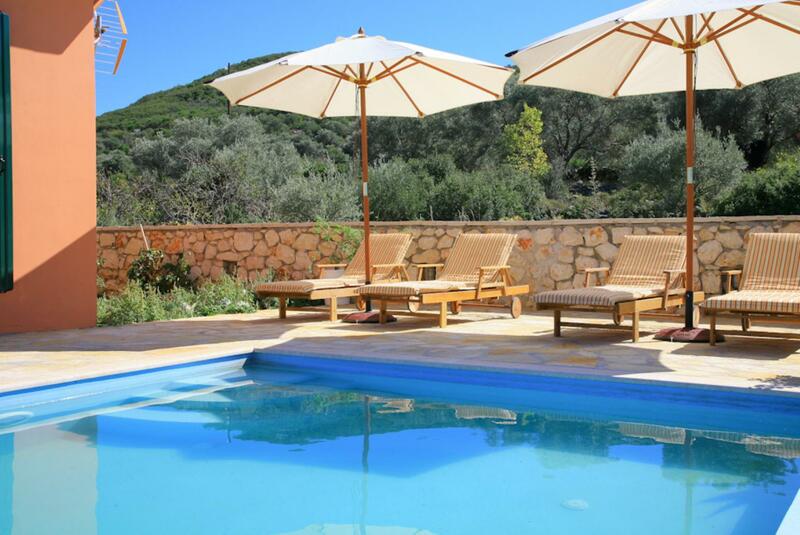 The location was fabulous and the villa was everything we could have hoped for. We spent a wonderful week just relaxing around the villa with the occasional excursion out in the cooler mornings. The only downside was that we booked one week instead of two but we know better for the next time. We couldn't recommend it more highly. Wonderful we loved the villa and could not fault it. Gorgeous villa so peaceful and private and the views are amazing. Well equipped stylish vey clean we were very comfortable here and would love to return. 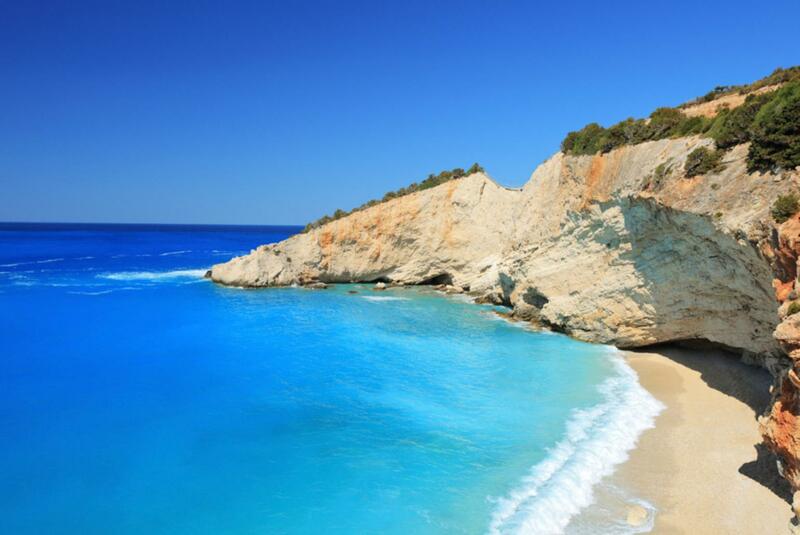 Lefkada is beautiful people are friendly and we would return. Kambos Taverna at the foot of the Hill (path from the Villa) is very authentic and serves good home cooked food with no frills family run they were very sweet and helpful. 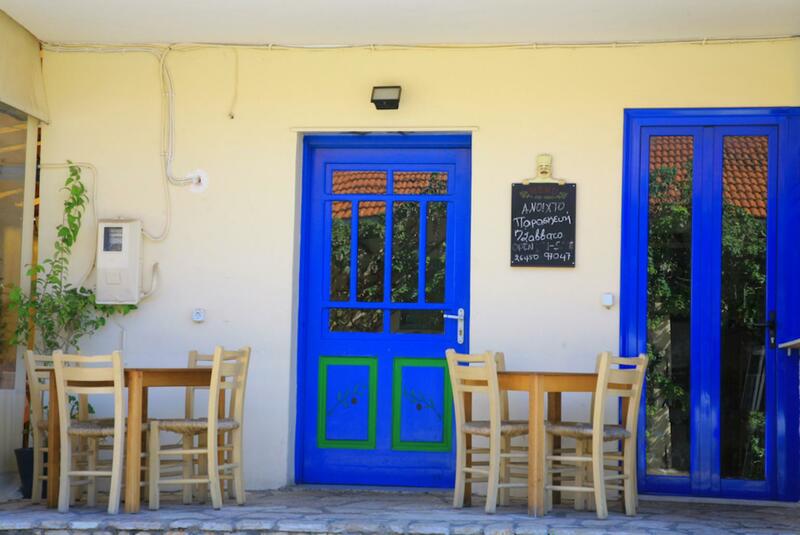 Agios Nakitis is a lovely place for drinks and dinner. We loved the cocktails at the Captains Corner that overlooked the beach the view was fab Lefkada Town is worth a visit too. We had two delicious meals in the Square and it was a nice place to stroll around window shopping. Relaxing and peaceful holiday. Some of the restaurants were closed in the village think we were too early in the year. Found some nice quiet beaches nearby. Loved it! 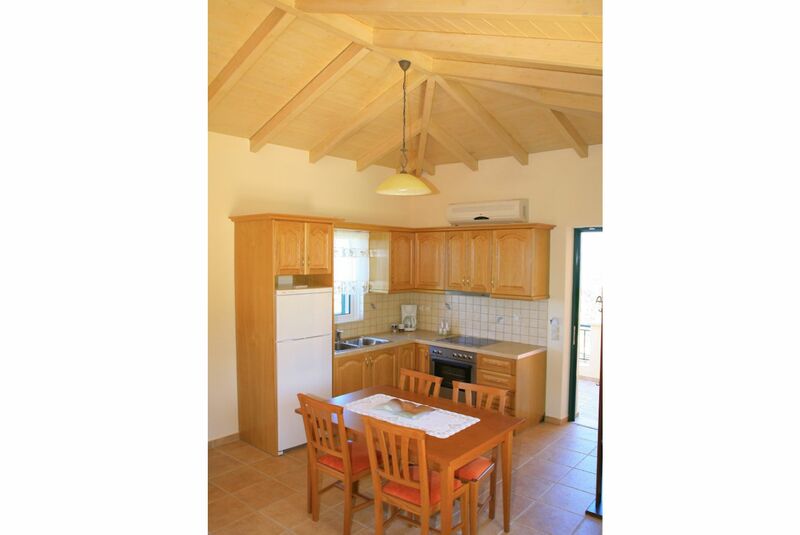 Ideal for beaches, ideal distance from Lefkas town and other resorts. Lovely to be able to walk into the village. Villa great! We thought it was a lovely place and perfect for two, in my view I would come back. 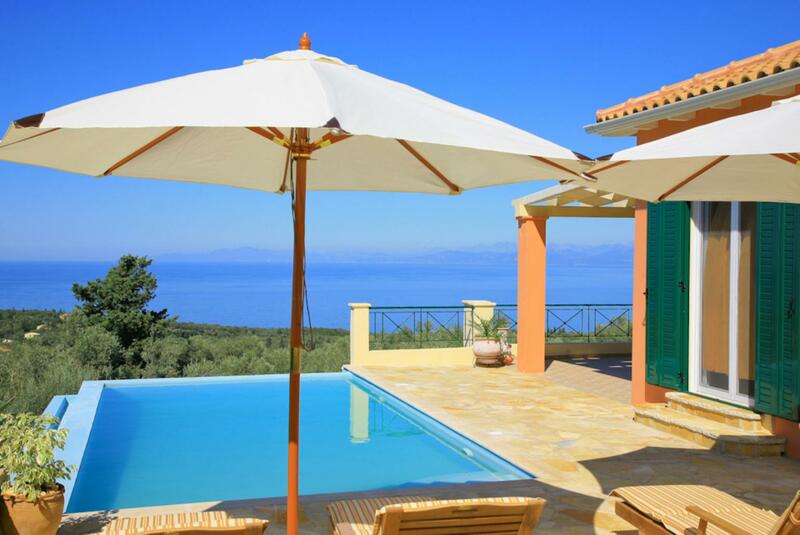 I loved my stay in Lefkada. Excellent property, better than average. 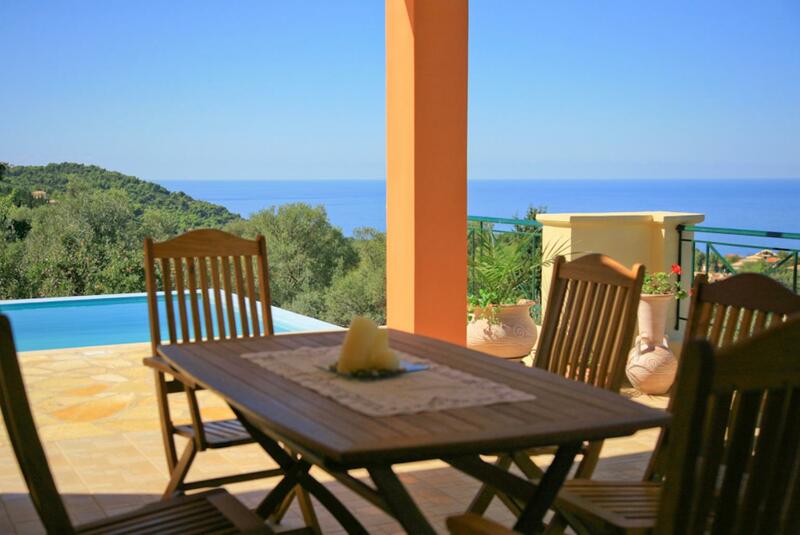 Beautiful villa - highly recommended. 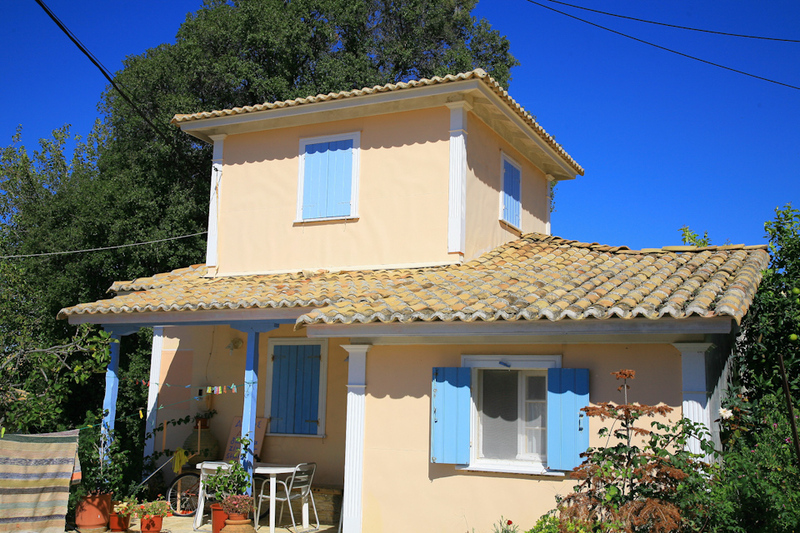 We had a wonderful week in this very comfortable villa. We loved the peace and quiet and the huge amount of privacy we had. It was great to be able to stroll down through the olive trees for a coffee in the morning and the local restaurants in walking distance were very good.We made good use of the swimming pool and just enjoyed the fabulous views from the terrace. 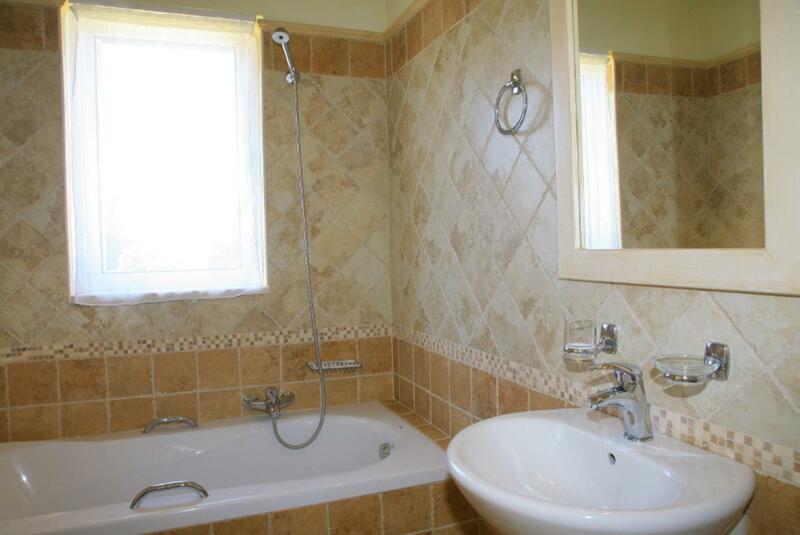 Great property, value for money is excellent. 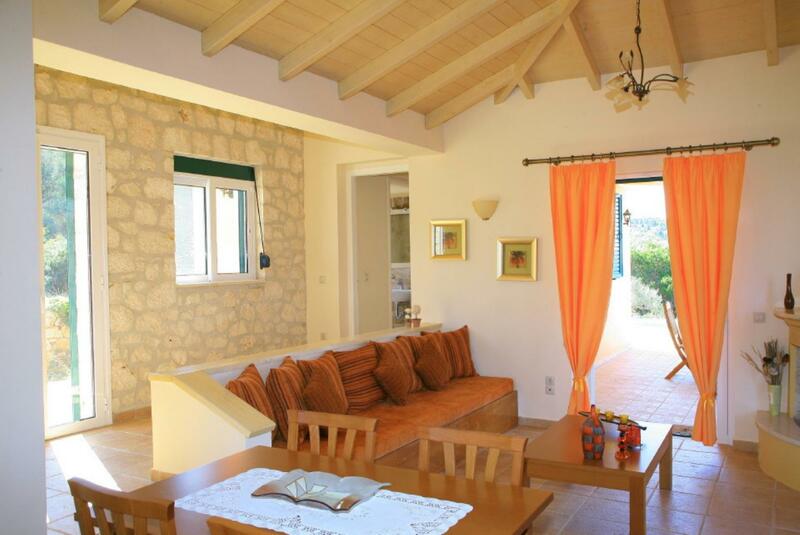 It is a fantastic place to stay away from it all but easy access to shops/tavernas etc. This is the second time we have used Agni villas. We hope to come back again possibly next year. 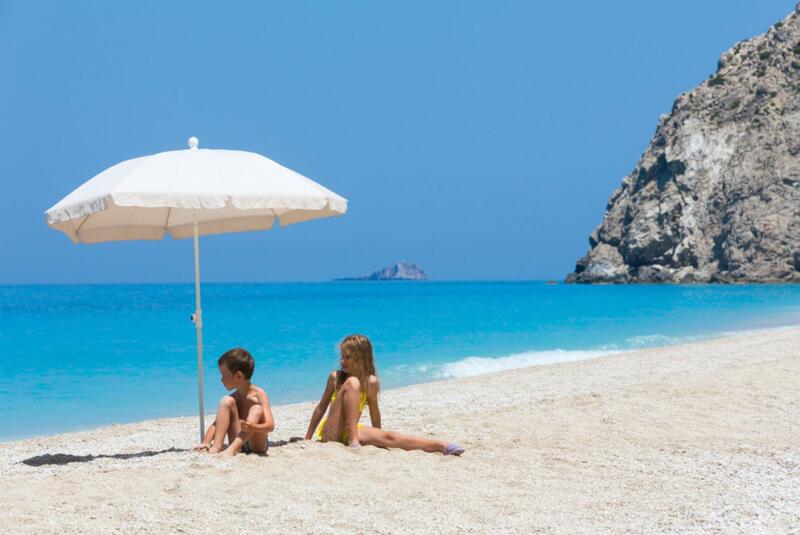 We love Lefkada. Beautiful holiday, it is the second year that I come to Tsoukalades and I'm satisfied. We had the most wonderful holiday in Belvedere Rosa. 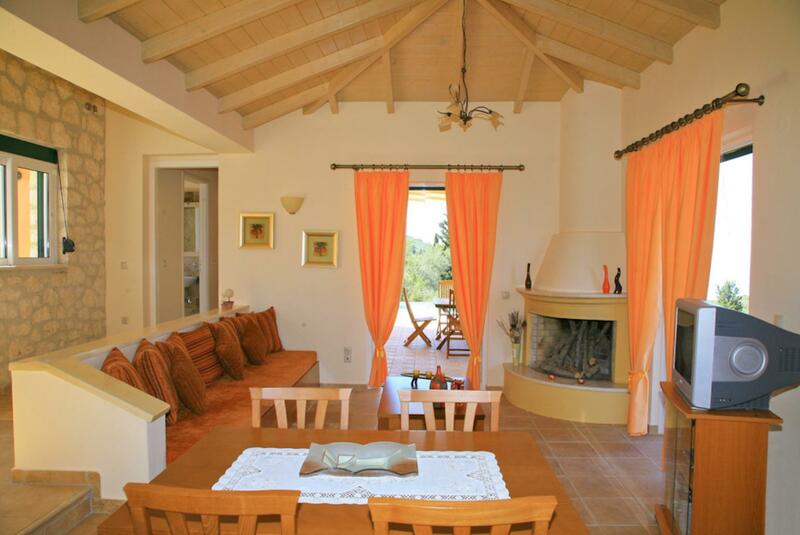 The house was just perfect clean well maintained and in the most beautiful setting. The pool was kept really clean - I dont know how they did it because we never saw anyone The village is close enough to the main town to make shopping easy but not too close...Thank you to the Agni team -the whole process (booking payment driving directions welcome texts etc.) was perfect. We will certainly be using Agni travel again. 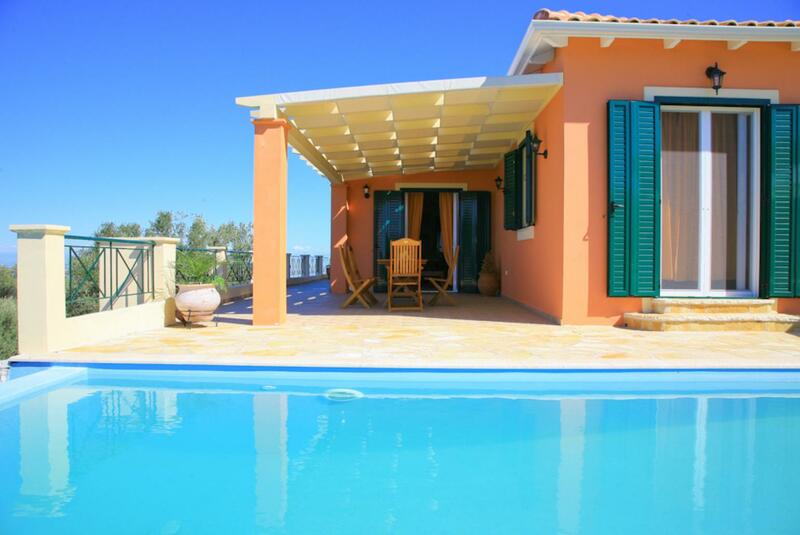 Great holiday in Lefkada many thanks to Agni Travel excellent service the villa is beautiful. Lovely holiday. Well equipped villa exactly as it says on the website. 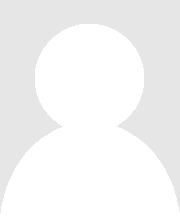 Excellent way description the Agni Travel signs alog the small road were very useful thank you. The state of the villa was s positive surprise.Excellent service from Agni Travel regarding msils ans sms communication. We enjoyed it very much. The house with its wonderful seaview was really fantastic. We had a lovely holiday. Lefkada was a great destination and with the use of a hire car we were able to explore most of the island which we found enchanting. 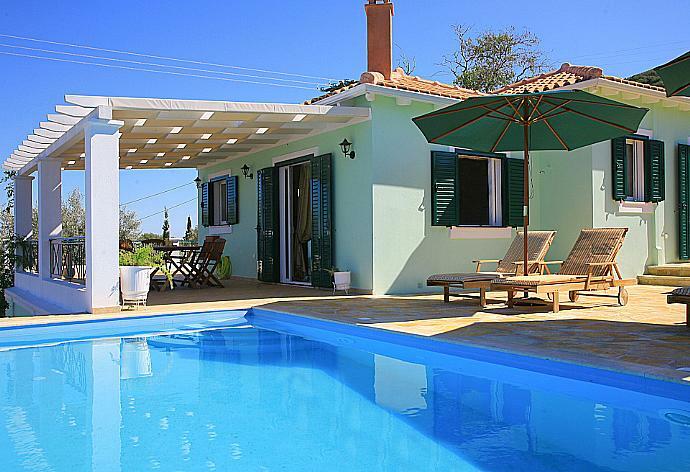 The villa was perfect for our needs and we couldnt have chosen better. 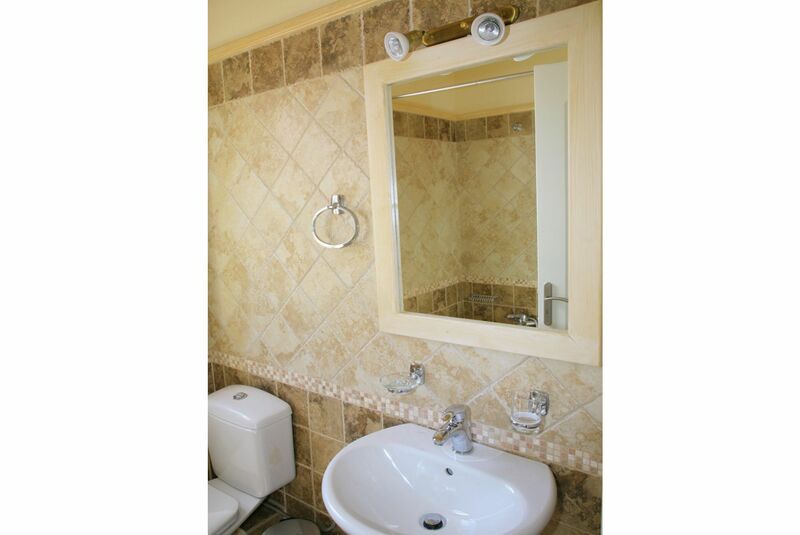 We enjoyed the place in Villa Belvedere Rosa very much because of the layout and the cleaning service.